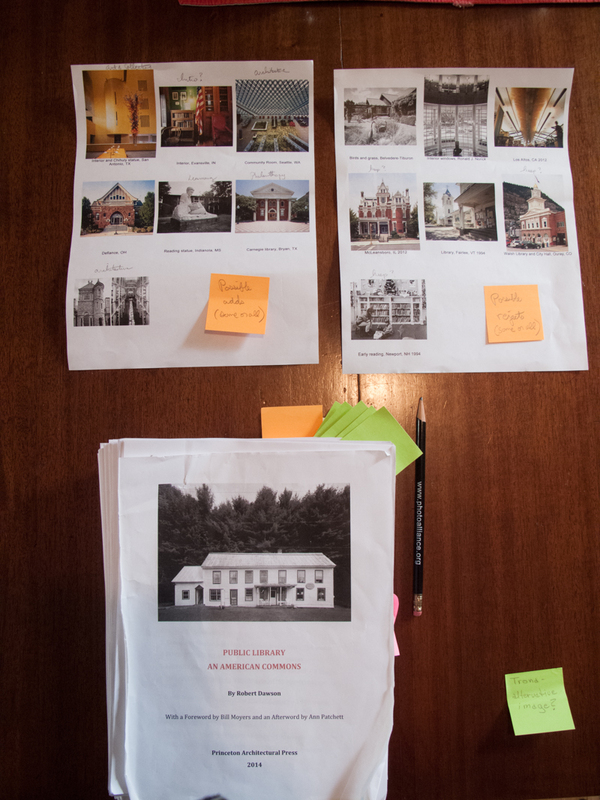 It has been a long time since I posted a blog on my Public Library project. I wanted to bring you up to date on this amazing journey and let you know about upcoming events. My last post came shortly after my 2012 summer Library Road Trip with Walker. Later, after looking at my work from the whole project I realized that I had photographed a lot of libraries in poor communities but few in wealthy ones. Some of the wealthiest communities in the nation are right here in the San Francisco Bay Area. 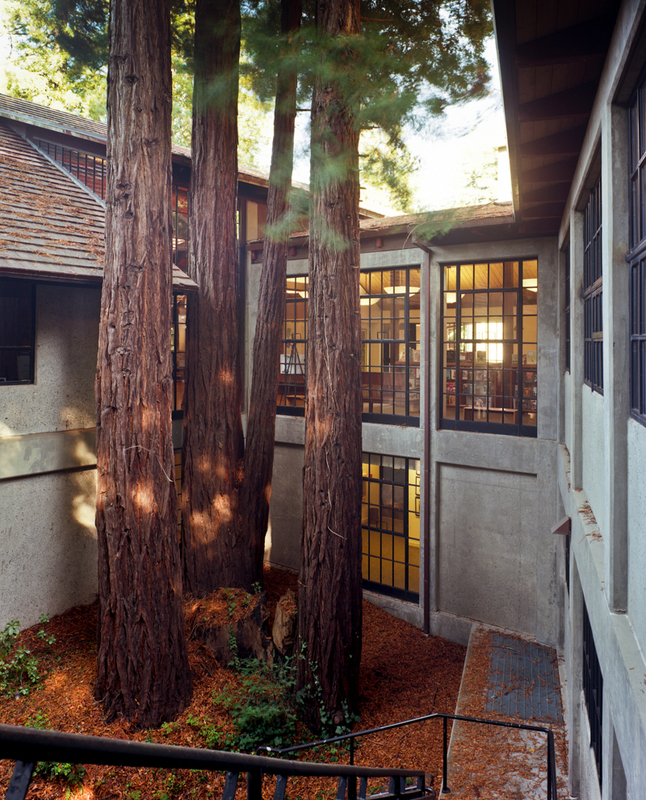 Walker and I photographed several libraries in Silicon Valley and Marin County. It helped to balance out the project. I soon became caught up in my normal, crazy academic schedule teaching five classes at two universities. I also came down with what turned out to be a long-term staph infection in my sinuses. I am finally over most of it. 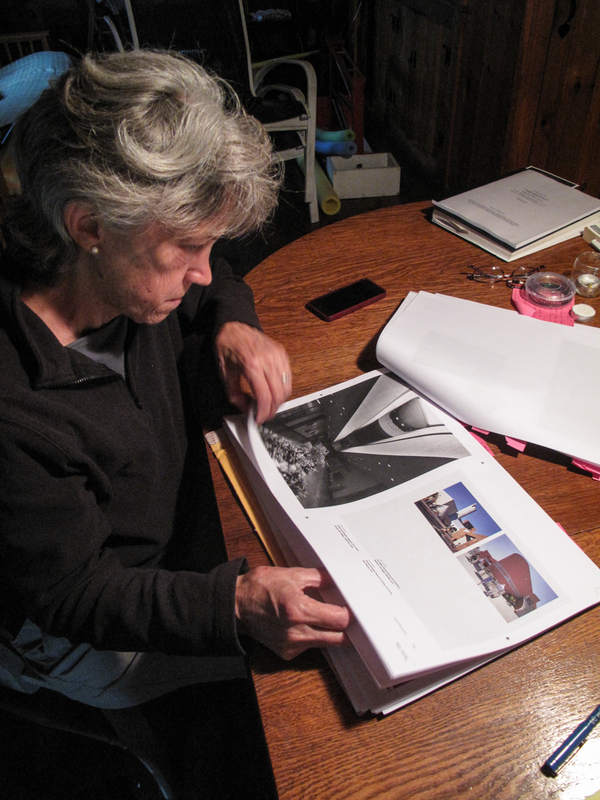 In the Fall, 2012 and Spring, 2013 I began working closely with Princeton Architectural Press producing the book. Late in the Fall we spent the Thanksgiving holiday in New York and later in New England with Walker, Ellen, her brother John Manchester and his wife Kate. We were in New York City two weeks after Hurricane Sandy had devastated the area. Our friend Stanley Greenberg took us out to the Rockaways along the Brooklyn shoreline. The branch library there had just been emptied of its water-soaked books. 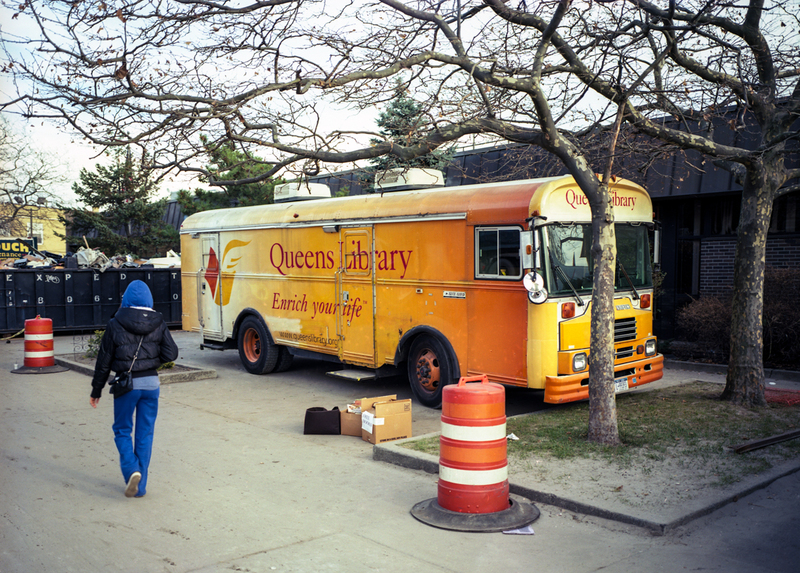 Parked in front was a Queens Library bookmobile. It was one of the few places around where people could recharge their cell phones, get on the internet of just get warm. I took the last photographs for the project of that sheltering mobile library. The Spring of 2013 was probably the busiest and most stressful time of my life. In addition to my academic responsibilities and being sick I was working full-time on the book. I also applied for and received a Graham Foundation grant to work on the Public Library project. I also applied and am currently a finalist for a Creative Work Fund grant to document the library and literacy campaigns in the distressed city of Stockton, CA. If I receive the grant it could provide a new direction for my project beyond the publication of the book. Added to all this I produced a 30 year retrospective exhibition of my work for a show at the Thomas Welton Stanford Gallery at Stanford University. Whew! No wonder I felt exhausted all Spring. Putting together all the parts of this very complex book took up all of my free time. Throughout the Spring I was literally working seven days a week. Working with my two editors at Princeton was a delight. 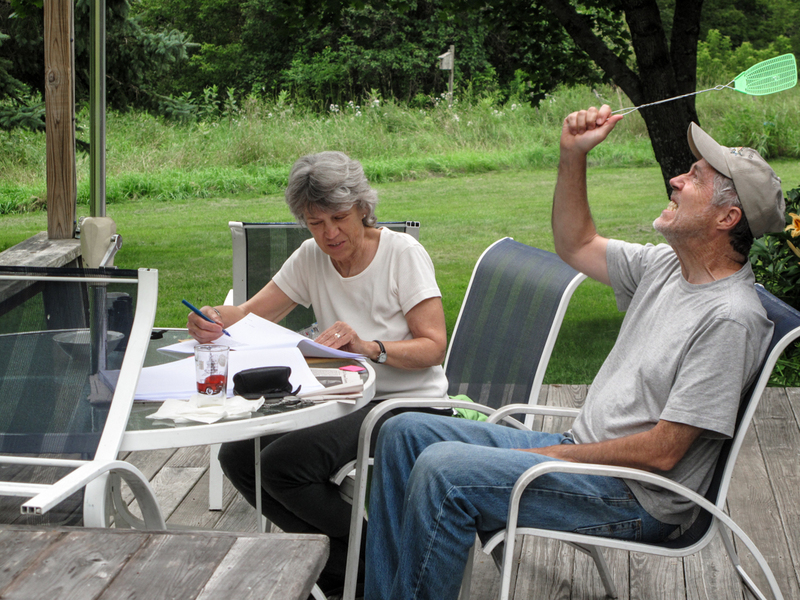 Sara Bader and Sara Stemen are real professionals and have been very patient with all my distractions. It is nice to work with people that know the English language so much better than I do and, at the same time, penetrate the complexity of legal contracts with writers and publishers. And they did this with humor and wisdom! I know that I have been lucky working with the two Saras. Equally important was the help and encouragement from my wife Ellen and our son Walker. I literally could not have done this project without them. 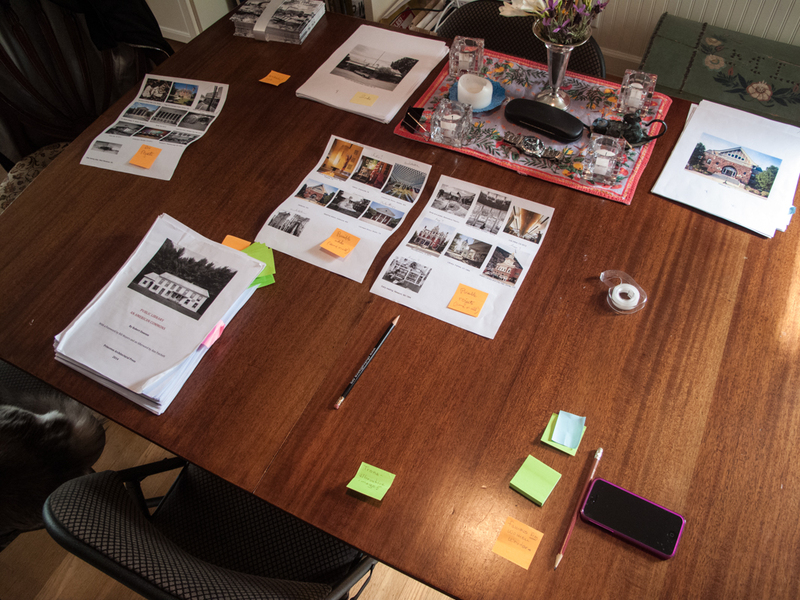 The production of the book involved selecting and sequencing the images; finalizing the text, labels and extended captions; getting permissions from the writers, their agents or publishers and countless little details that needed attention. 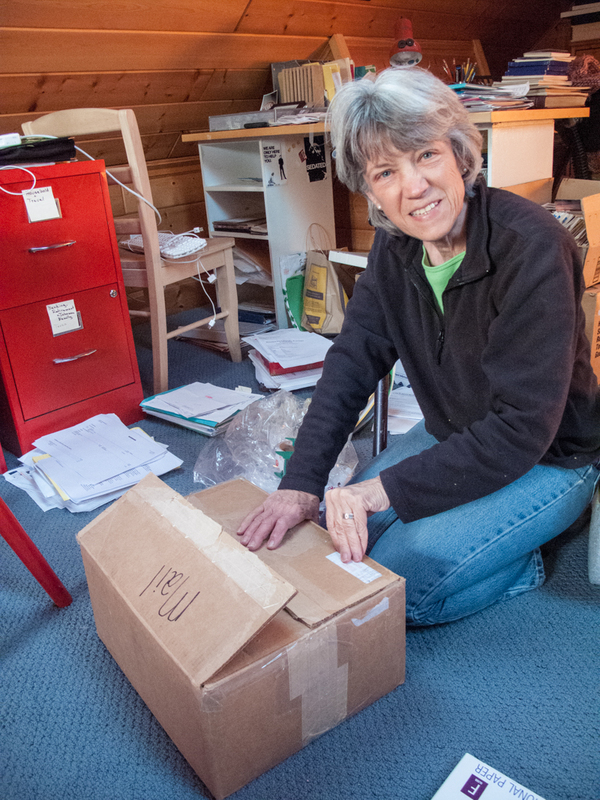 The big day arrived in mid-April when Ellen and I finished everything, put all the book parts in a box and sent it off to Princeton. Afterwards, we even had time for dinner and a much-appreciated glass of wine. 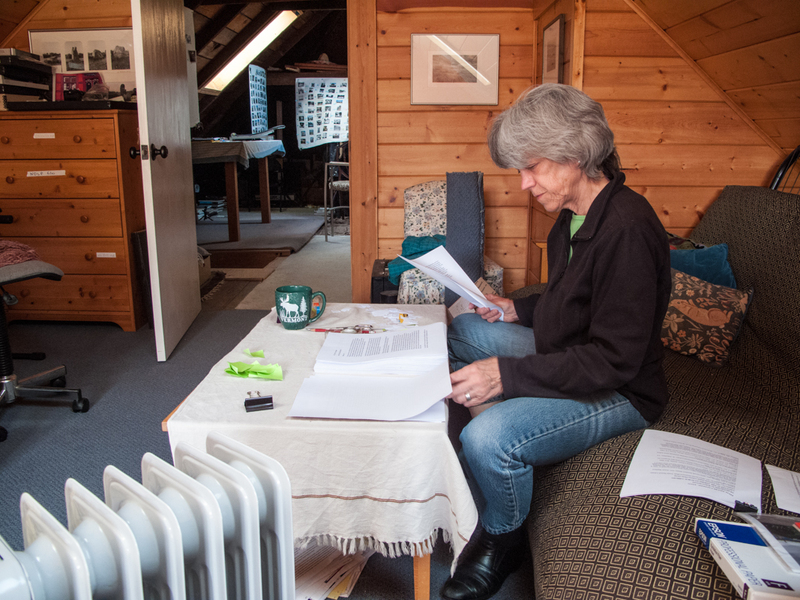 Later in the Spring we received the first two edits of the book by email. We met with Princeton in New York in mid-July when they had literally just printed out the first hard copy of the book mock-up. We took it with us to our little cabin in the woods in Vermont and sent it back a few weeks later. In early September I sent back the second version of the mock-up to Princeton. After approving the cover design I have been working with Princeton’s publicity person to develop a plan to publicize the book. I have also been working on lots of little details since then. 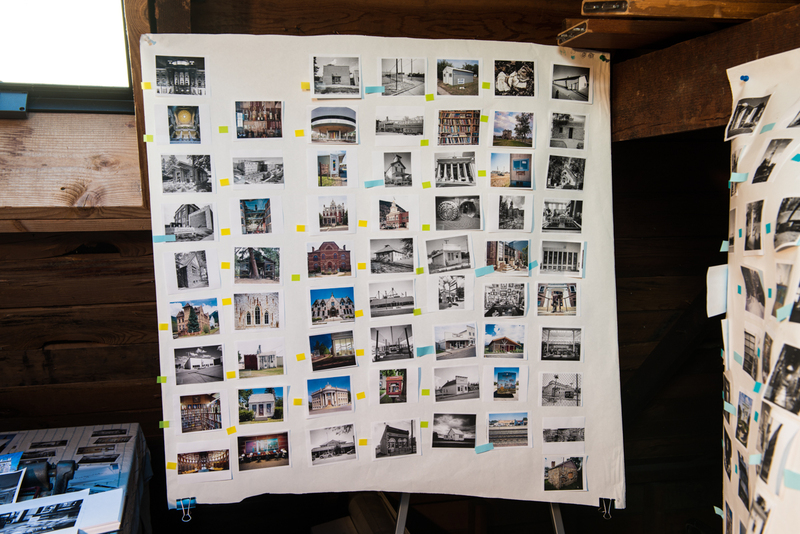 A website and traveling exhibition are part of our future tasks. I will keep you informed as we get closer to our publication date of April, 2014. Until then, please stay tuned and stay in touch. 1/3/12 – The Library Road Trip continues! 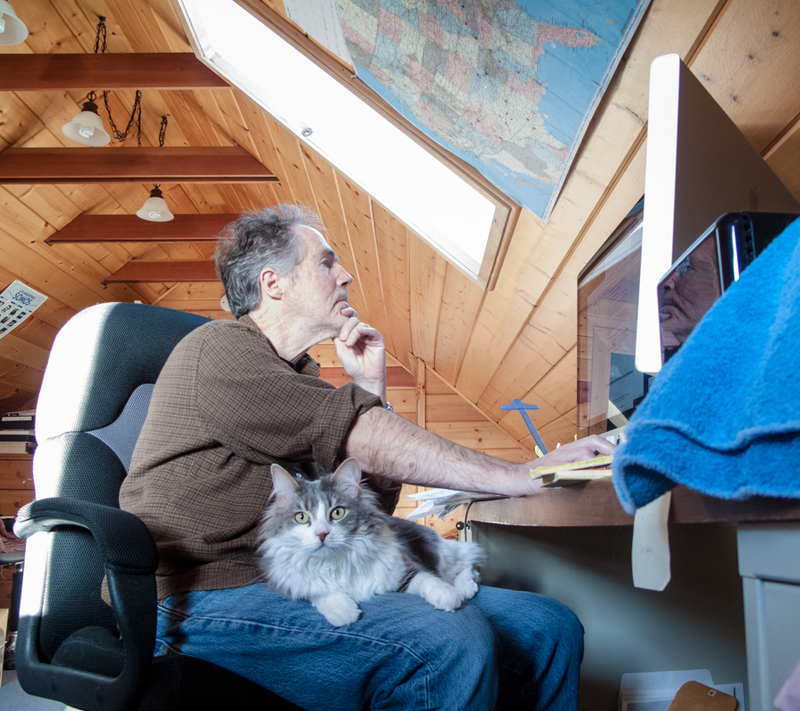 Walker and I are on the road again seeking further adventures and libraries in the American West. We had hoped to photograph the libraries of Las Vegas last summer when we drove across the US but couldn’t quite squeeze it into our very crowded schedule. Because Walker was home from college on his Winter break and because I have the week off before starting to teach again at Stanford we decided to do a quick trip to Las Vegas and the West. After a nine-hour drive from San Francisco to Las Vegas we landed in the City of Grand Illusions at the Luxor on the Strip. It is always a shock to come here and I am always dazzled and disgusted at the same time. I can only stand to be here if I suspend the critical judgment part of my brain. Even then it is a struggle to enjoy the over-the-top fantasy of this City. However, we are in Las Vegas to photograph its libraries. Through its libraries we hope to see the real city and real people beyond the Strip. 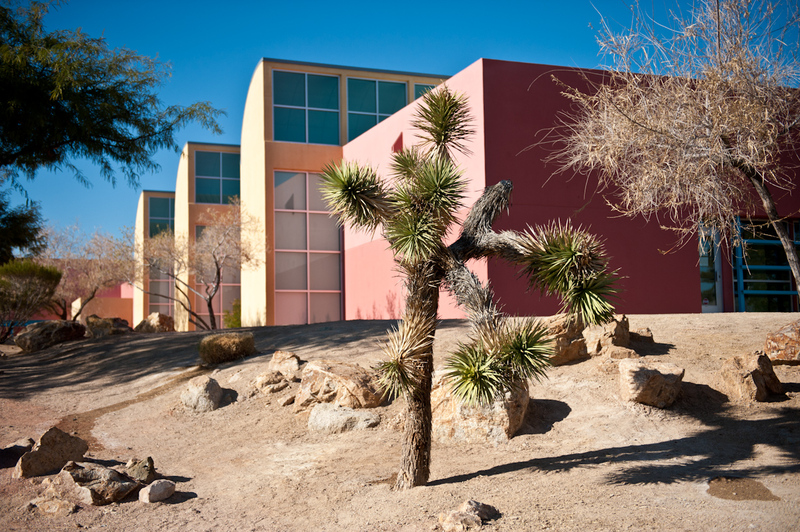 The Witney branch library is a modern Southwestern design and beautiful with great desert landscaping. The neighborhood is poor and I try to avoid photographing the large number of homeless people that are suspiciously eyeing me. The next library was located inside the Galleria at Sunset Mall. The librarians are very friendly and explain that this small library was an attempt to bring a library to where the people go. Some patrons have difficulty understanding a non-profit space in a for-profit commercial mall. The library actually sells a few books to satisfy some patron’s need to buy something. The red Clark County Library was part of a large civic center. It was plain inside and had a lot of poor people using this non-commercial refugee in a sea of track homes and strip malls. 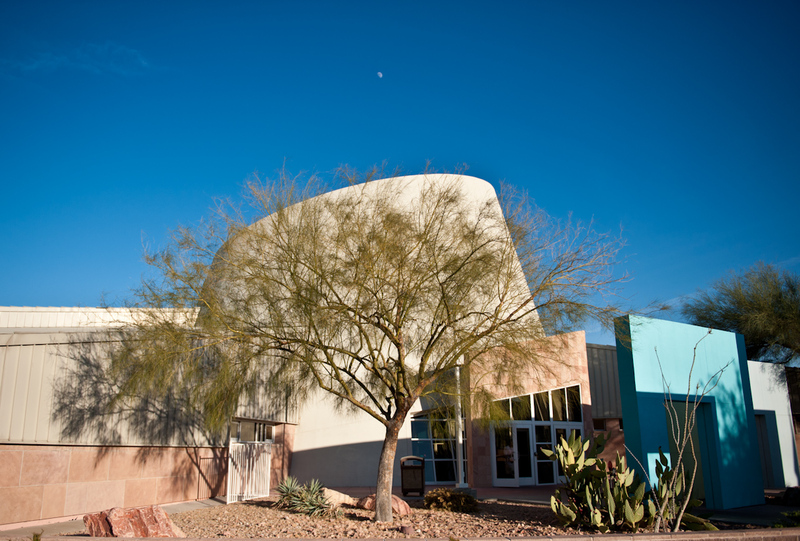 The Supak Community Center and Library was located in a poor area of North Las Vegas, not far from the casinos. I photographed the outside wall looking up at the famous Stratosphere Tower, one the tallest buildings in the American West. We could hear people screaming as they plunged off the top on some kind of heart attack-inducing ride. At the same moment a woman was being handcuffed by the police in front of the library. I chatted with a Hawaiian looking man and found out that there is a large Hawaiian community in Las Vegas. 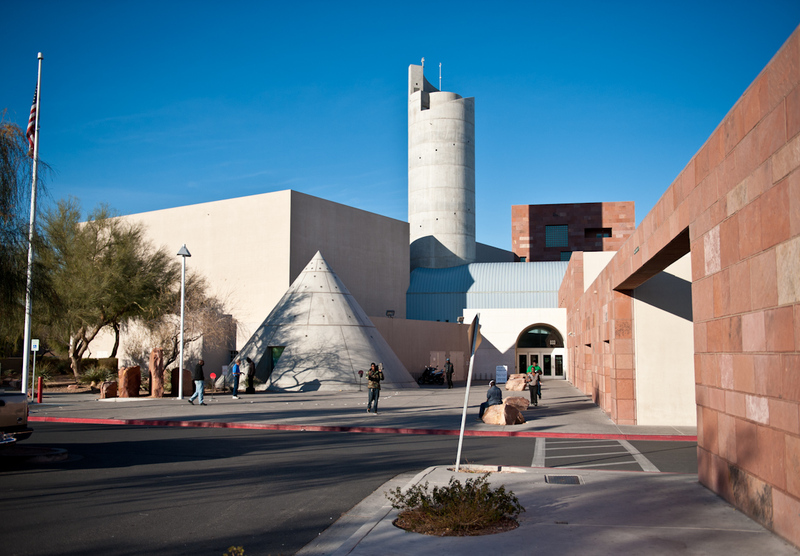 In another part of North Las Vegas is the Las Vegas Library/Children’s Museum. I was a little nervous photographing the fascinating exterior because of the large number of dicey looking guys hanging out in front. The architecture of the library was so interesting that I set up my big 4X5 camera anyway, hoping for no trouble. While I was focusing the camera the library security guard with a large pistol on his hip came over. After speaking for some time I realized that this guy really liked to talk. I went ahead and took the photographs while we continued our conversation. It was only later that I realized that the presence of the guard made it possible for me to take the photos without incidence. Inadvertently, he was actually guarding me. 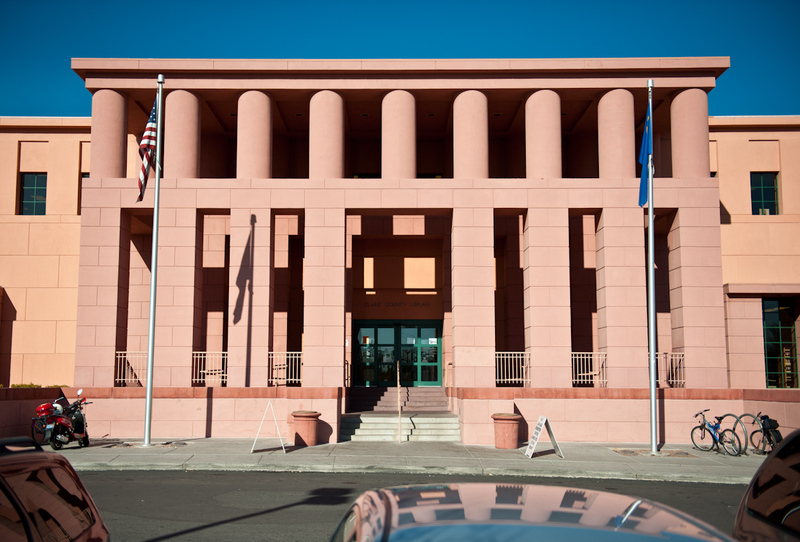 Our last Las Vegas library was in the affluent western part of the City. The Rainbow library is a beautifully designed modern library that was perfectly lit in the later afternoon sun. We spent the remaining light in the spectacular Red Rock Canyon National Conservation Area. We headed back to Las Vegas after dark. 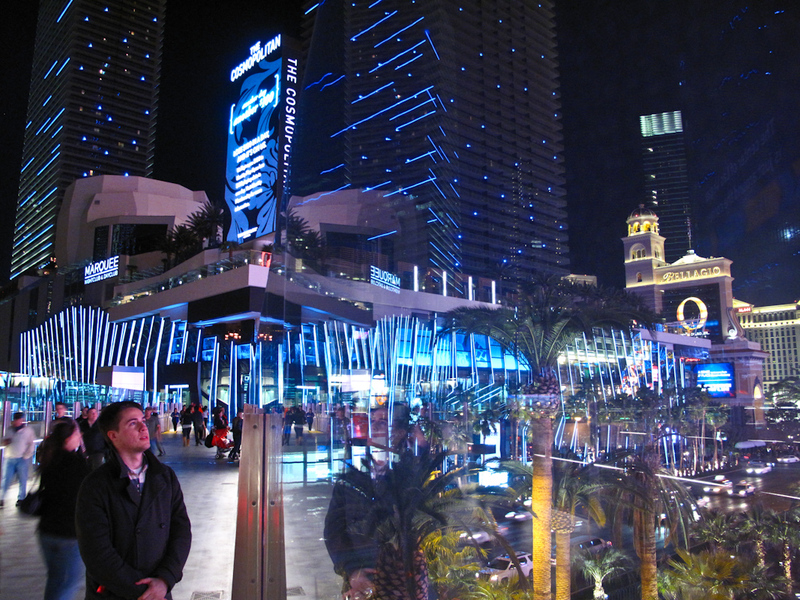 We had dinner at a ritzy mall area near the Aria Hotel/Casino. We ate at Wolfgang Puck and had an extremely good and surprisingly inexpensive pizza. 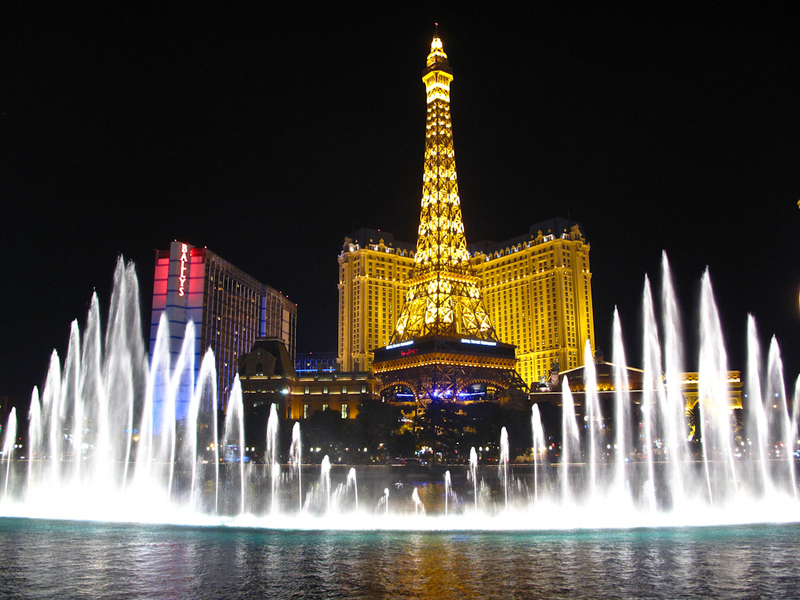 We strolled the Strip and enjoyed the Bellagio and Caesars Palace. It was a great way to end our stay here. 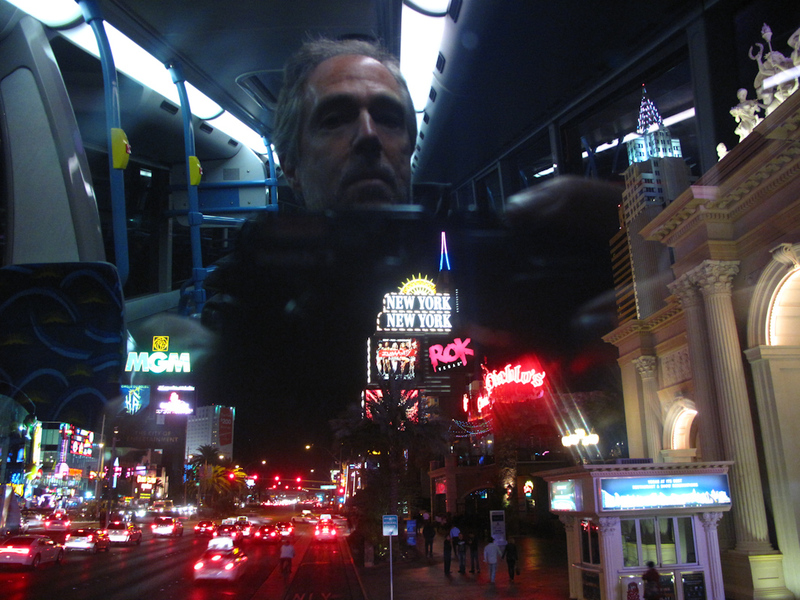 1/4/12 – After getting a late start we were happy to see Las Vegas in our rear-view mirror. We enjoyed leaving the sprawl behind as we drove on I-15 northeast to St. George, UT. 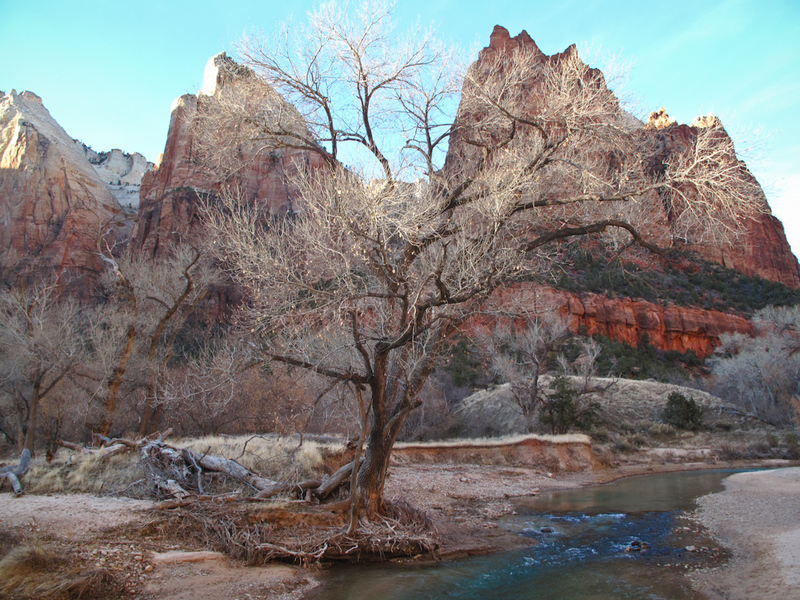 We entered Utah’s spectacular canyon country as we drove to Springdale and eventually arrived at Zion National Park. 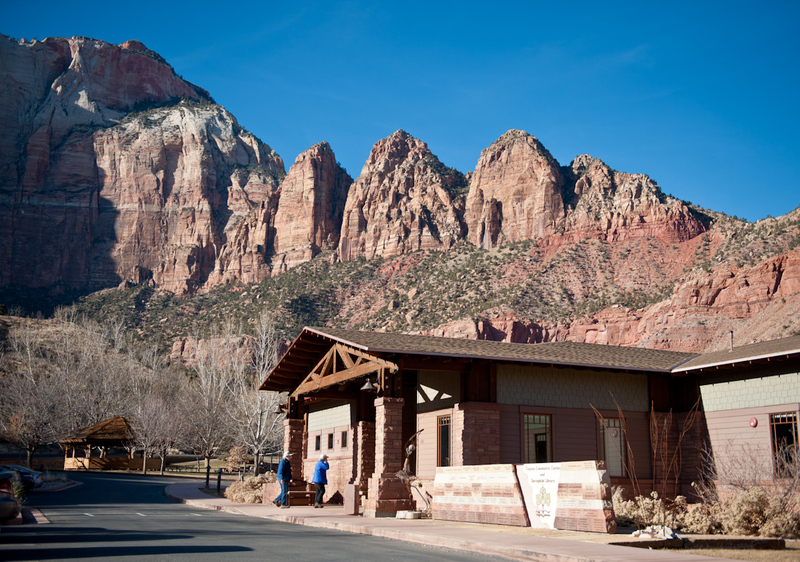 Just outside Zion is the Canyon Community Center and Springdale Library. Incredible desert canyon walls dramatically rise all around this area. This is one of the most beautiful settings I have seen for a library. I hope that my photographs do it justice. Walker and I spend the rest of the afternoon and dusk in the Virgin River Canyon hiking to the Narrows. It is Walker’s first time here and I have fond memories of being here in the past. 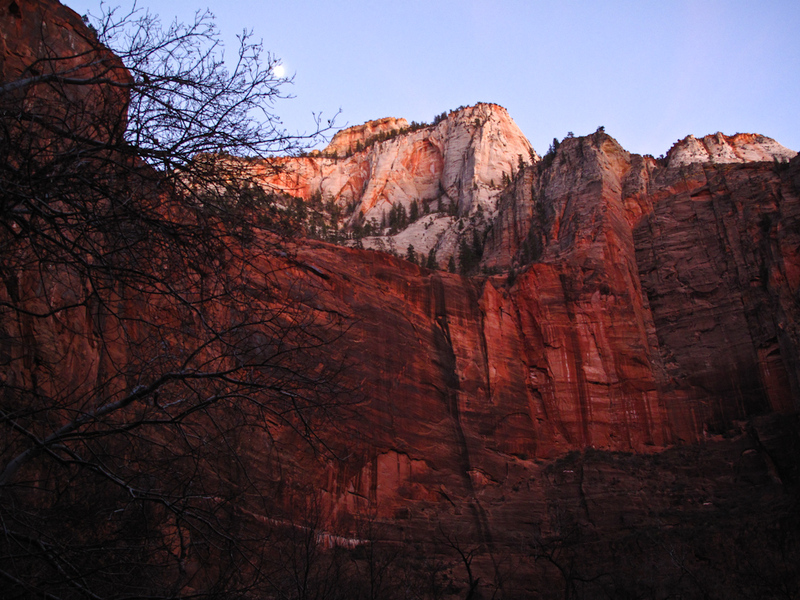 The canyon walls are breathtaking as the last light fades. 1/5/12 – What a day! Up at 5 AM I photograph the first light on the cliffs above the Springdale library. After an early morning drive though the canyon lands and Cedar City, UT we head west through remote Utah farmlands into Nevada. 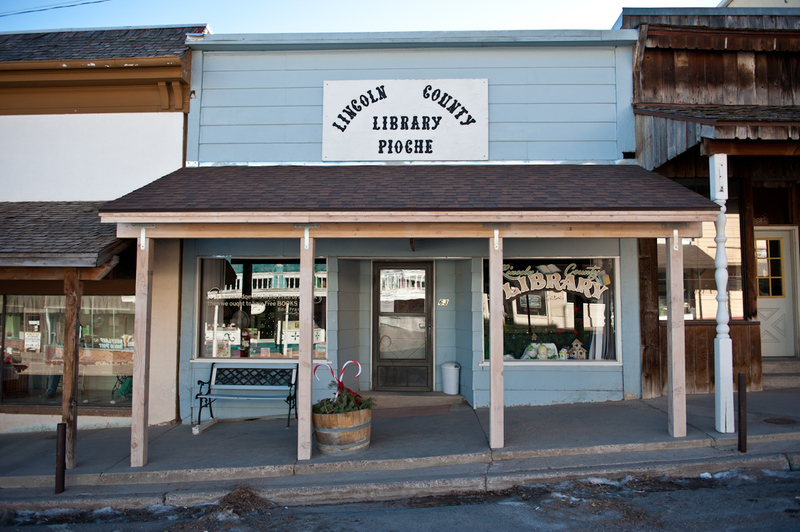 Pioche, NV is a great, little mining town in this remote southeastern corner of Nevada. The library was in a small storefront on the old main street. It had a Glen Beck book prominently featured in the Christmas window display. As we drive south to Caliente, NV the only radio station on the air featured Rush Limbaugh. It is curious how much Rush makes my blood boil. It is sad to think that this is the only thing on the radio out here. The Caliente library is in a classic old Union Pacific railroad station. 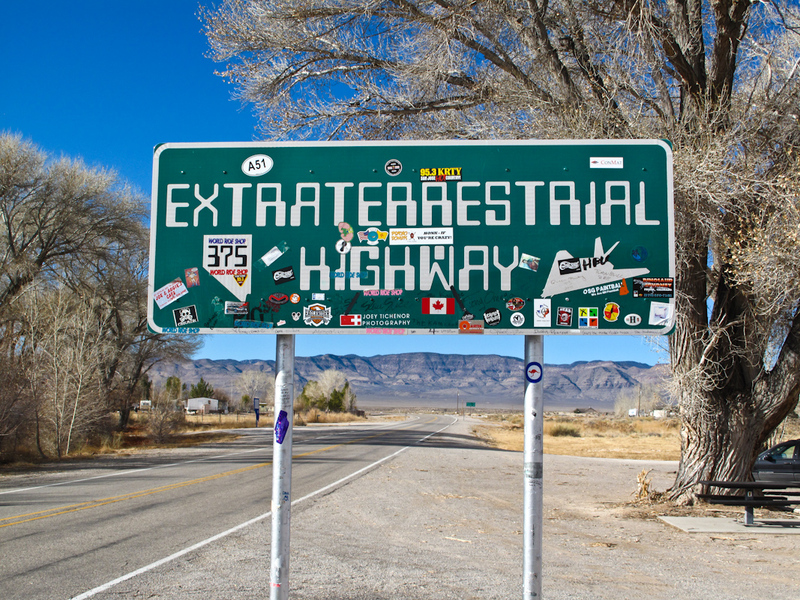 The friendly librarian was re-shelving the books and had been hired to “get the place back in shape.” Walker and I spend the next four hours driving the famous Extraterrestrial Highway. Located next to Nevada Nuclear Test Site it is one of the most remote parts of the 48 states. During the drive we see no fences, no telephone poles and no billboards. We see very few cars and a lot of beautiful big skies and awesome open spaces. The only “town” in the area is Rachel, NV, home of the Little A’Le’Inn where “All Species Are Welcome.” Words and photographs fail to describe this part of the world. You literally have to experience this expansive, vast grandeur and infinite space. No wonder the aliens love it here. We hope to come back someday and stay at the Inn. 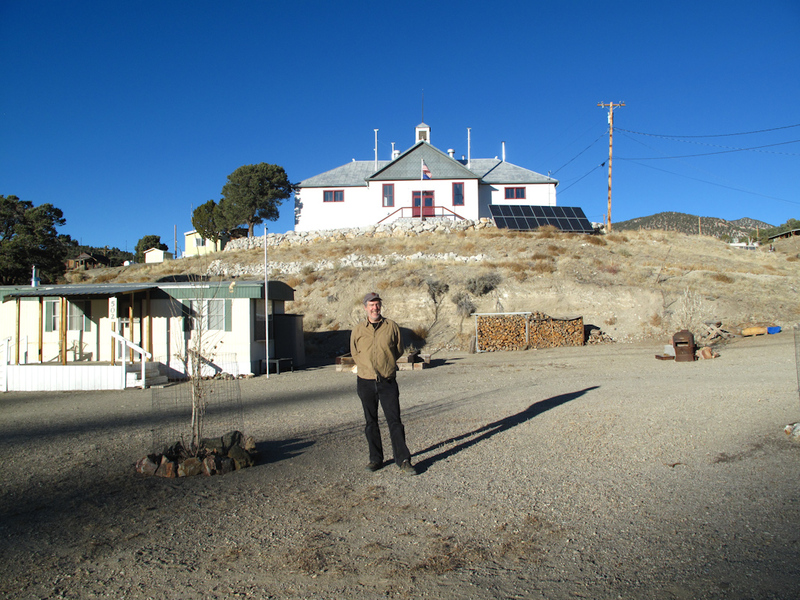 At the end of the long drive we arrive in the mountains at the tiny, almost-ghost town of Manhattan, NV. We are really short on light so I give ourselves twenty minutes to photograph the library. It is an old high school located on a hill above the town and I choose one spot below from which to photograph. Walker trudged up the hill and met the two friendly librarians and the incredible interior of the library. Because of the shortness of time I decide not to photograph the interior. Besides the Librarian Tony told us that the library in nearby Round Mountain is much better. After quickly driving there to get the last light we find the library to be new but really bland. This is a growing mining community and the huge mine tailings dominate the valley. I feel terrible that we missed the opportunity to photograph more of a library with character in Manhattan. I am reduced to photographing the impressive solar panels of the Round Mountain library in the fading light. 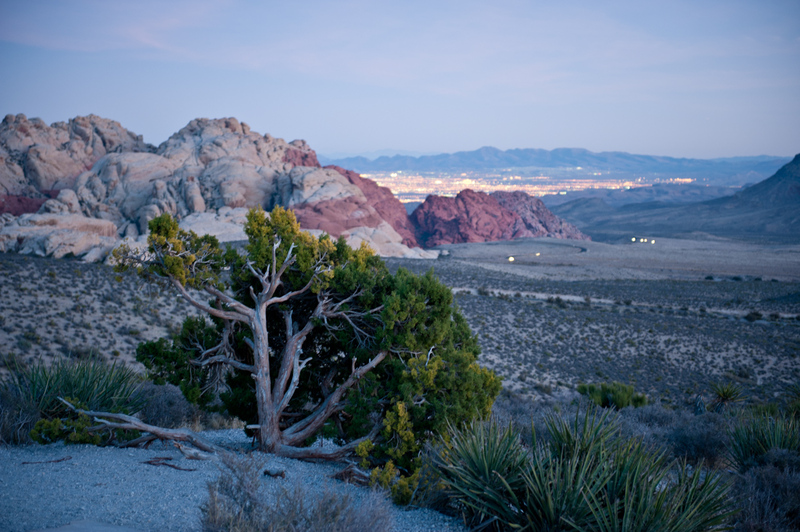 We drive on into the beautiful dusk and night through Nevada’s Basin and Range country. We end the drive in Reno after twelve hours of driving. All in all it was a great day with great libraries in an awesome landscape. The Road Trip lives on! 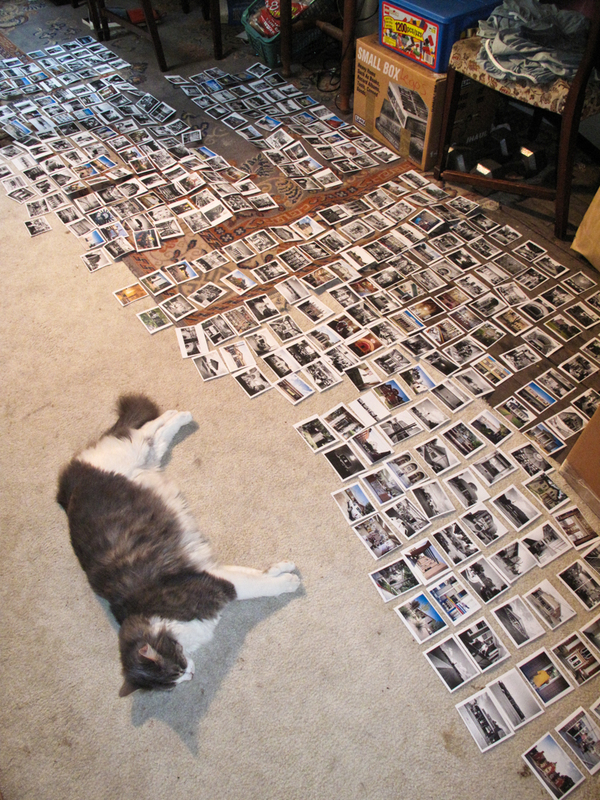 In my next post I will finally put up some of the scans from this summer and from our Nevada Road Trip.